Middle Tennessee (1-2) continues its non-conference schedule this weekend with a trip to Moraga, Calif., to take part in the Saint Mary’s Tournament. After playing strong competition in the Tennessee Invitational, the Blue Raiders continue to test themselves before conference play. 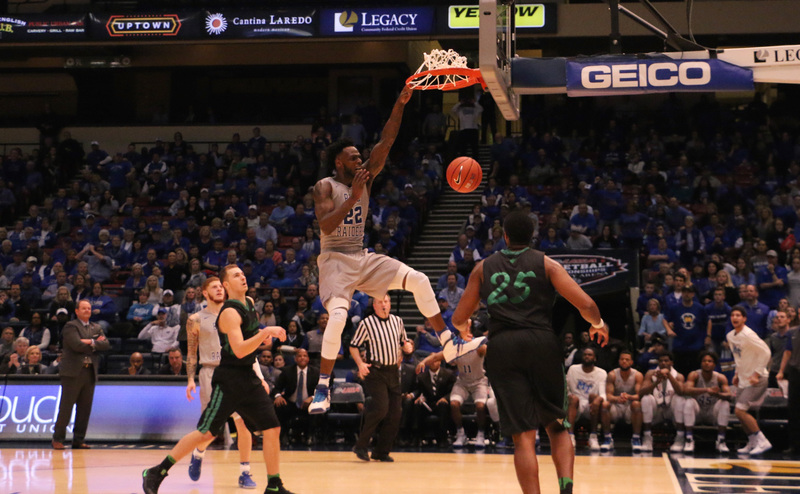 Starting on Friday, Middle Tennessee squares off with Nevada before facing both host Saint Mary’s and UC Riverside on Saturday. The Wolfpack are off to a similar start in 2016 as they come into the tournament at 1-2 on the year. Taking part in the North Texas Challenge, Nevada fell to both host North Texas and SEC foe Texas A&M before rebounding with a win against Texas State to close out the weekend. The Wolfpack exceeded expectations in 2015 after being projected to finish No. 10 in the conference, finishing three spots higher after a 7-11 finish in conference play. After last season, Nevada would lose four seniors, including their libero Kara Kasser. Senior Madison Thorpe looks to join new addition Camille Davey in taking libero duties for the Wolfpack. Saint Mary’s- Saturday 12 p.m. The Gaels opened their season in Colorado taking two out of three before returning home to Moraga for their home tournament. In two wins, Saint Mary’s handled both Northern Colorado and North Dakota State in four sets each. The lone loss of their opening weekend came in straight sets to Colorado State. The Gaels return multiple players on the outside and a strong middle. Youth looks to be the edge for a program looking to get to the next level at home. UC Riverside- Saturday 6 p.m.
UC Riverside poses one of the biggest threats in the Saint Mary’s Tournament after a strong showing in the Cal Molten Tournament last weekend. The Highlanders beat Southern Utah twice in that span before narrowly beating host Cal in a five-set thriller. For a program without a winning season since 2005, Riverside looks to continue it’s impressive season start in Moraga. The Blue Raiders will finish up the Saint Mary’s Tournament on Saturday before returning to Murfreesboro and begin prep for the annual Blue Raider Bash on September 9-10.